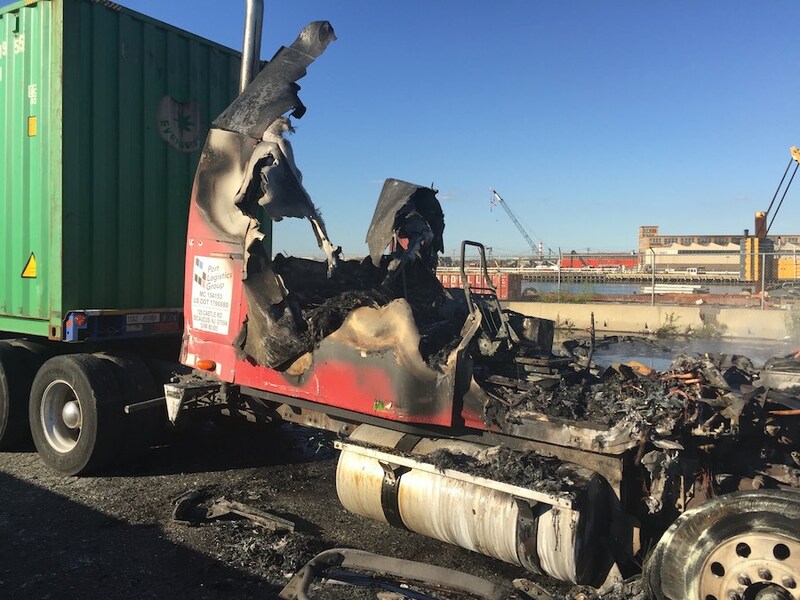 At about 5:20 p.m. this evening, there was a report of a tractor trailer fire at 142 Marsh Street at Port Newark. Port Authority Police and the Newark Fire Department responded. At 5:45 the fire was extinguished. There were no injuries. The trailer was carrying an empty shipping container. Port Authority Police re-routed traffic during the fire, there was no disruption to Port operations.